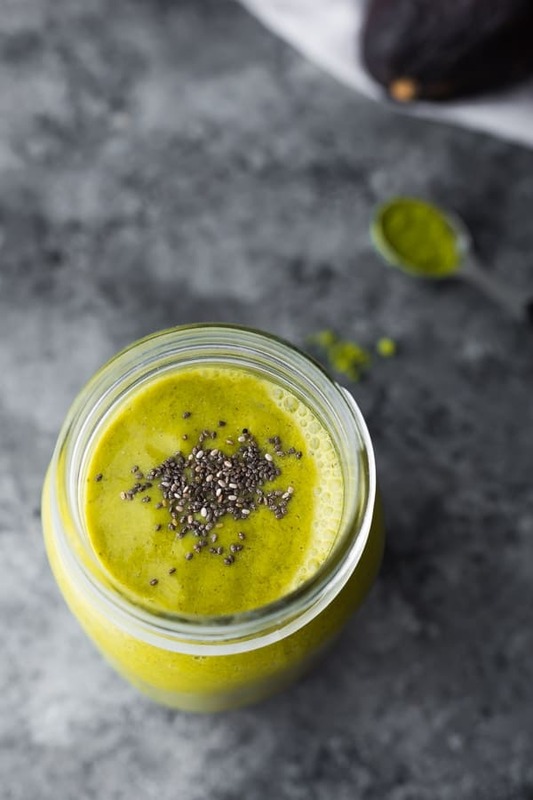 Matcha avocado smoothie gives you a burst of energy to get your day started off right! With mango, avocado, matcha powder, chia seeds and a tiny bit of vanilla extract. Vegan, gluten-free and clean eating. 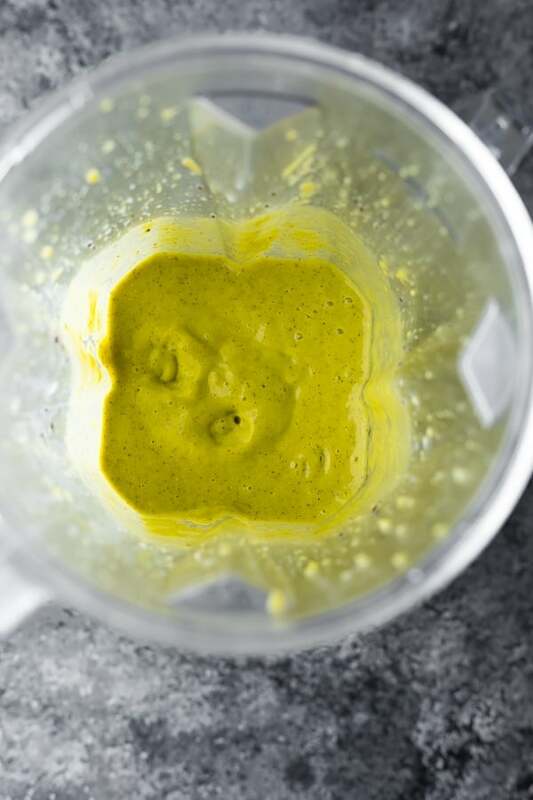 I haven’t posted a smoothie recipe on Sweet Peas & Saffron for…years! Eep. If you follow me on Instagram, you might have caught onto my new love for all things matcha. It started with an over-priced coconut milk matcha latte from Starbucks. $5 for a coffee is just not something I want to be spending routinely, but also, it really seemed to depend on the barista as to whether it was actually good or not. So I started making my own at home…and then I started adding matcha powder to my smoothies! 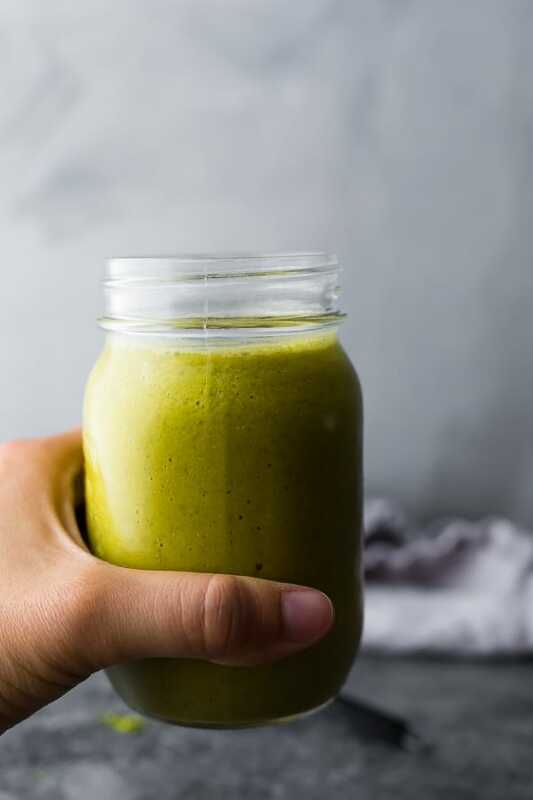 The matcha flavor is super subtle in this lean mean green matcha avocado smoothie. It gives you a burst of energy to start your day off right, or to get you through that mid-afternoon slump. Matcha powder is made from green tea leaves which have been ground into a fine powder. Since you are drinking the full tea leaves, you get a ton of health benefits including vitamins, minerals and antioxidants! You also get a little boost of energy thanks to the caffeine, but it is definitely not the same ‘buzz’ as you get from a cup of coffee, rather it just makes me feel more alert. Unfortunately matcha powder doesn’t dissolve into liquid without some effort (many people will use a bamboo whisk), and I’ve found I enjoyed it more blended into iced almond milk lattes or smoothies using my blender. I am currently testing a couple of different matcha powders to find my favorite, so I don’t have one to recommend to you at the moment. I ordered mine off Well.ca, and have picked one up at the grocery store as well. If you have a favorite matcha brand, please let me know! I’d love to try it. I added mango to my smoothie because it makes such a great smoothie base…just sweet enough that you don’t have to add any extra sweeteners! I don’t like bananas, so mango is the base of many of my favorite smoothies (including my favorite Mango Green Smoothie!). I also added frozen avocado to this matcha avocado smoothie, you can add fresh if that’s what you have on hand. I found frozen avocado in the frozen food department of the Superstore! 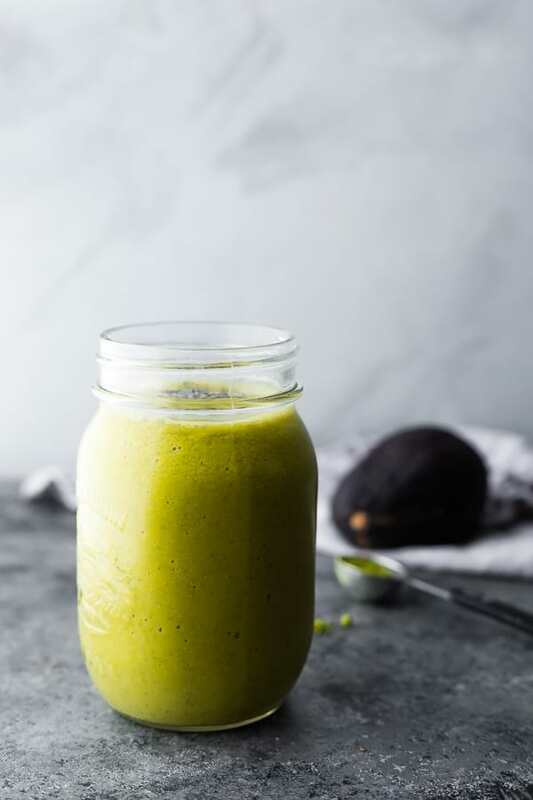 The avocado makes the smoothie thick and creamy, and you really can’t taste it at all. 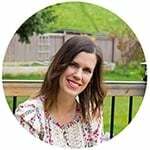 Just like my other favorite smoothie recipes, you can prepare these ahead as frozen smoothie packs. I hate using plastic bags for this, and assemble my smoothie packs in 1 pint jars instead. 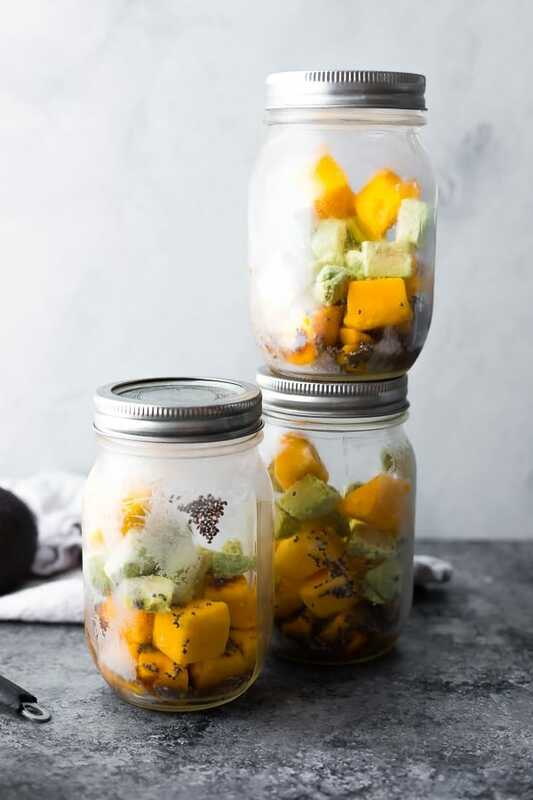 To prevent them from sticking to the jars, make sure you are using frozen mango and frozen avocado when assembling and get them into the freezer ASAP. They don’t get freezer burn at all! I have frozen this way for 1-2 months at a time with no issues whatsoever. You can add all ingredients except for your blending liquid, including the matcha powder! When you go to put it in the blender, scrape gently out with a spoon. If any ingredients get stuck, add half of the blending liquid to the jar and give it a good shake up. This almost always does the trick for me. 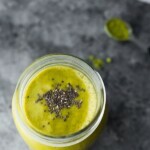 Mango matcha smoothie gives you a burst of energy to get your day started off right! With mango, avocado, matcha powder, chia seeds and a tiny bit of vanilla extract. Vegan, gluten-free and clean eating. Place all ingredients except for the almond milk (or any other blending liquid you choose) and freeze for up to 2 months. 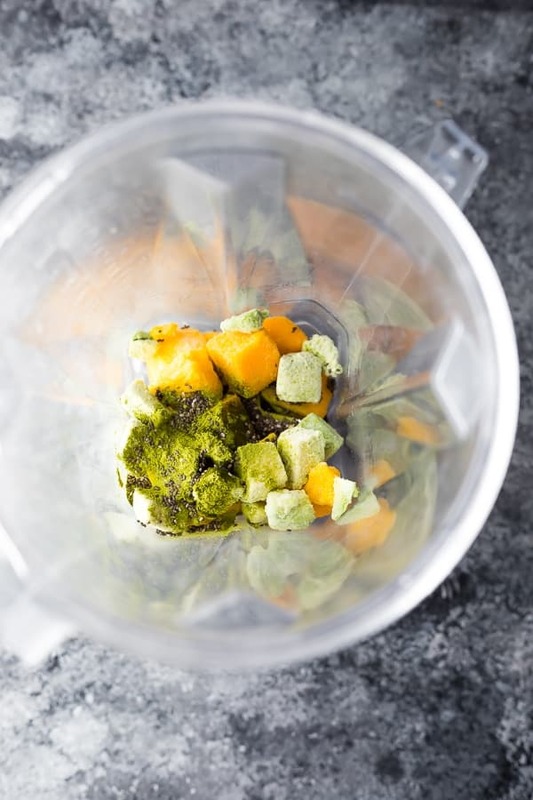 When you are ready to blend, gently scrape the contents out into the blender. If any chia seeds or other ingredients get stuck, add half of the blending liquid and let it sit for a minute before shaking it up and pouring into the blender. I love prepping smoothie ingredients ahead of time! I haven’t done that in awhile, but need to do that again!